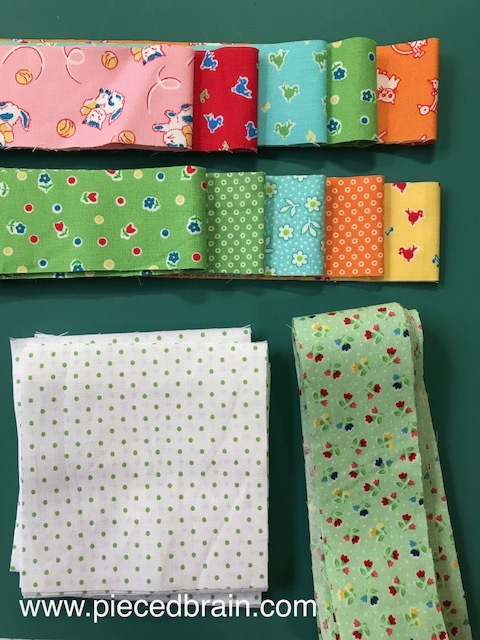 Have you seen Fat Quarter Shop's latest pattern, Double Nine Patch from their Classic and Vintage Series? I made the crib size version using Riley Blake Designs' fabrics (Dolly and Toys collections). I love how it turned out! After reading the pattern I decided I wanted to make the crib quilt because I could use Riley Blake fabrics I had left from two recent projects. I had enough of the polka dot background fabric (barely!) which was perfect (otherwise I would have been tempted to add cute applique' on those blocks). 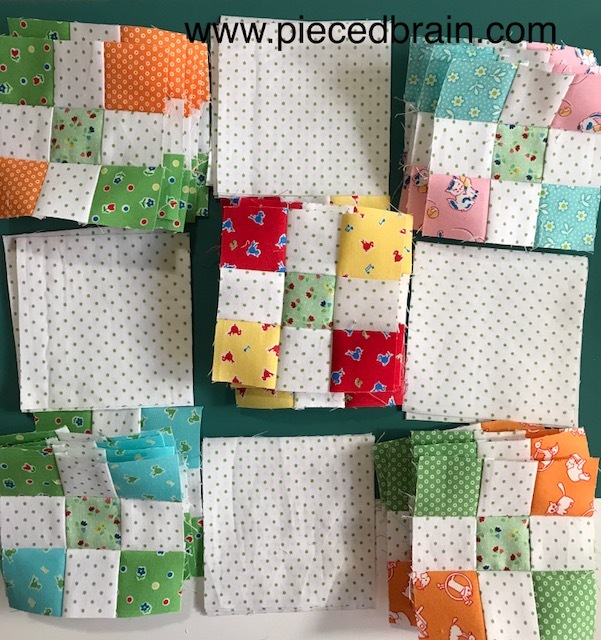 The pattern is well written and easy to follow, so I put the blocks together very quickly. The free motion quilting involved lots of loops on the quilt center and hearts on the borders, done with Aurifil 40wt white thread. I pieced the blocks with Aurifil, too. 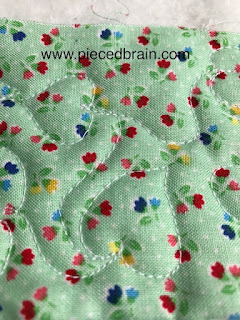 This Sew Along was so fun and easy! Fat Quarter Shop has a YouTube tutorial to help the process and the Double Nine Patch Quilt kit in case you would like to make a red version as they did (gorgeous!). 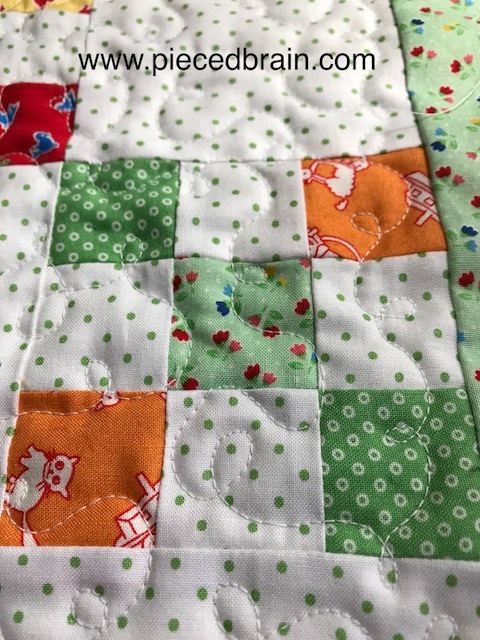 In the case of the crib size version, I guess we can call this pattern Triple Nine Patch, right? I am so glad they asked me to join along - another great pattern by Fat Quarter Shop. Love,love,love your colors and the fact that you could use leftovers from completed projects! 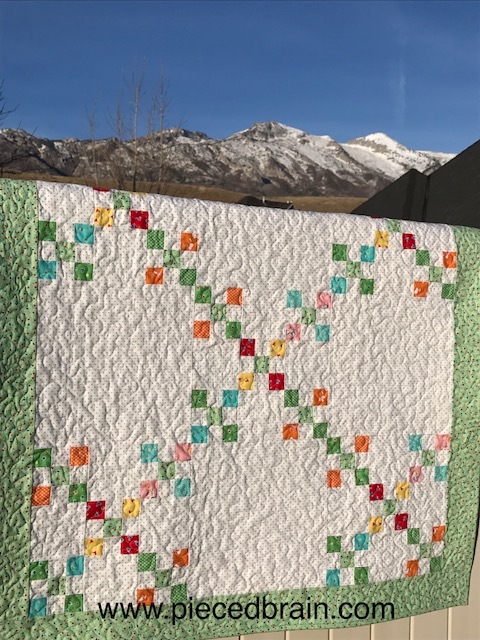 I need baby quilts for twins expected in May - this pattern may be just the ticket. 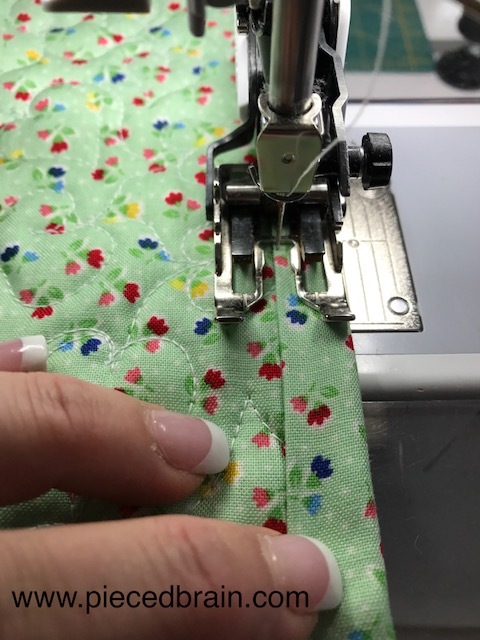 I, too, have always done binding by hand but have recently started practicing machine binding because of some hand strength issues. Don't even ask how many times I've sewn it to the front first ☹. 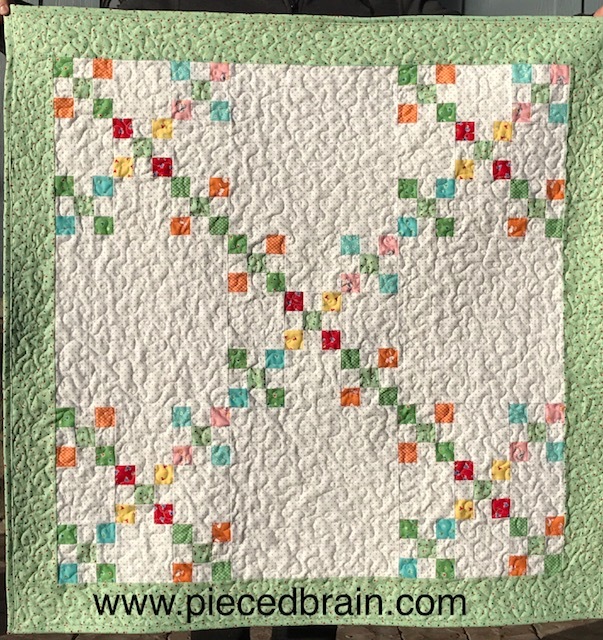 What a sweet quilt!! I agree that participating in a QAL is a lot of fun. LOVE that you used leftovers for you crib sized version! !